Extreme Saving Moms: Blogger Opportunity--Blings and Things Summer Giveaway! 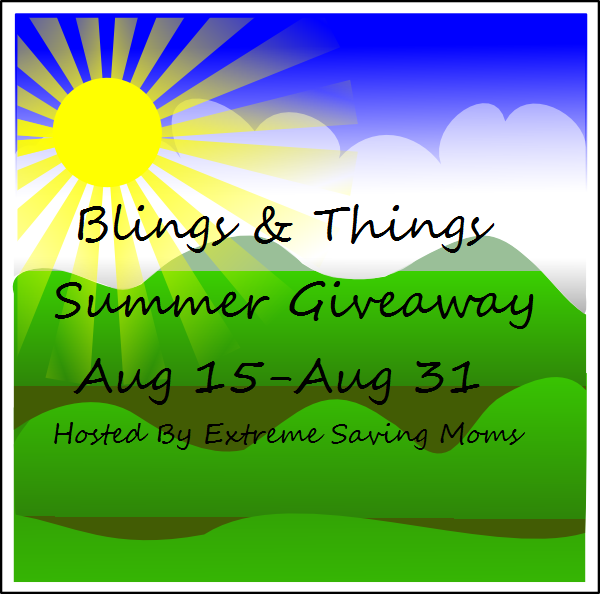 Blogger Opportunity--Blings and Things Summer Giveaway! Bloggers will receive one free link (Twitter or Facebook) for posting announcement (waiver fee of $5 if not posting) and agree to Post and promote at least 3x/week for the duration of the giveaway. Referral Prize: The blogger that refers the most sign ups will receive a FREE host page with 2 additional links.